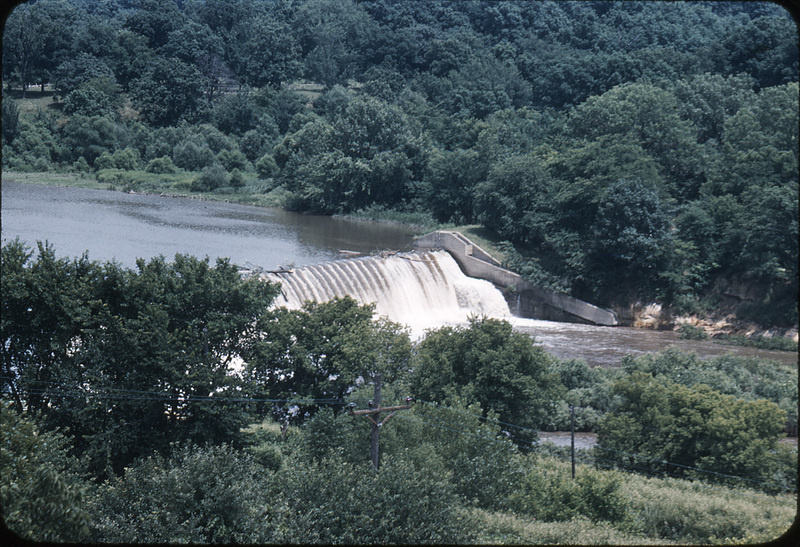 This picture of the dam at Dayton was taken from the hayloft of the old barn on the Green farm, probably about 1955. 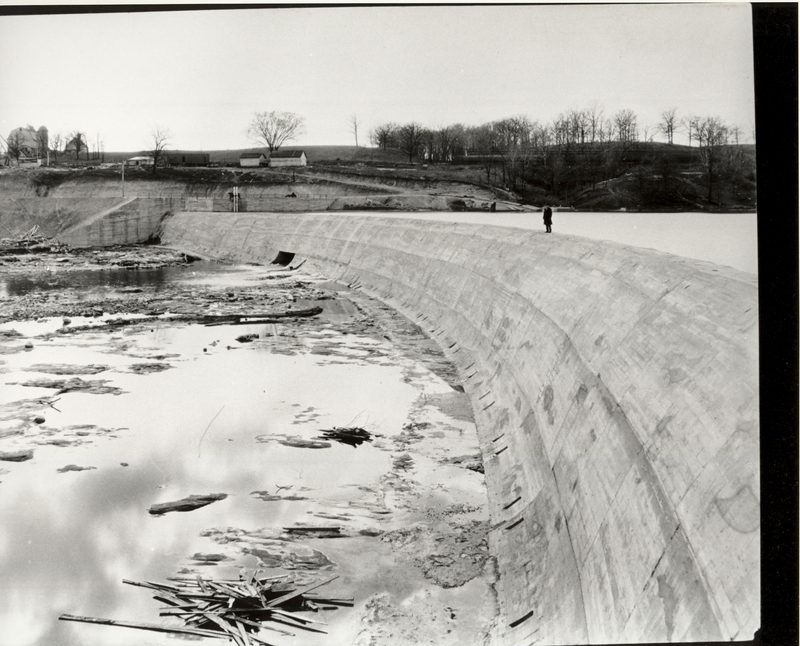 This is the dam that was built by the state of Illinois in 1924 to replace the dam that was washed out in 1904. The picture below was taken during the construction of the dam and powerhouse. The barn from which the 1955 picture was taken is just out of sight to the left of the new barn in the 1924 picture.